Blogger is a platform where you can create a blog for free without a penny. There are many other sites where you can create blogs for example Weebly ,Wordpress, Posterous, Tumblr but blogger is best of them. Blogger is the product of Google, which lets people to share there tricks, views, tips, products or anything with others. 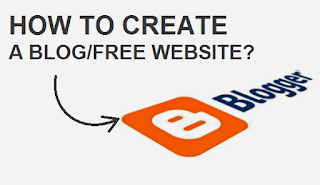 Its very easy to create a blog in blogger and your blog is completely in your hands, its up to you how you design your blog, what type of content you keep in your blog, what type of ads you add in your blog etc. In other words there is nobody to say anything you can do what ever you want. Blogging is not abou sharing ideas, tips, products or anything else but it is also a very simple way of earning money online. Blogger has developed an app for IPhone and Android with which you can post your articles from anywhere anytime. The first feature of blogger is overview where you can see latest updates of your blog such as comments, today page views, total posts, followers and a graph which shows your traffic stats. The second one is post where you can see how many posts are in draft or published. You can edit them here. After posts other option is comments which shows you how many comments you have approved to show and how many are spam. The fourth is Google+ where you can manage where to share your updates whether on your on profile or any page you created on Google+. After Google+ there is another option of stats which describes your blog's traffic briefly. It shows today's traffic, yesterday's traffic, Last month page views, all the time traffic, countries of visitors, the pages they have visited and traffic sources. Other option is earnings, if you have a Google AdSense account your earnings will show up here. A new feature is also added which is campaigns where you can create ads of your posts which will show up in Google searches. It is very easy way to increase your blog traffic but its worth. After campaigns there is a layout option where you can change favicon of your blog, select a navigation bar, add description,title or image to header, edit blog posts settings and add or remove a gadget to your blog. After layout there is Template option with which you can customize or edit your blog template and can choose another template for your blog. After all options there is a last and very important option of settings which helps you to control posts and comments settings, basic settings, search preferences, language, time zone, date and other. For creating a blog you need a Gmail account and you have to follow below steps. How to earn money by blog? How to get your blog to top of Google Search Results. (1). Create a Gmail account first and build your profile. (2). Now go to https://www.blogger.com and sign in to your account. (3). After signing in you will see below page. (4). Click New blog to create blog,when you click it a popup window will open as shown below. (5). Now give a title to your blog which will be the name of your blog, and select a url or web link for it. Sometimes your desired urls are not available. Take care of having a title similar to blog's url as it will be helpful for seo( search engine optimization). For example your blog's title is 101Helper then select a similar link as I selected https://www.101helper.blogspot.com . (6). Below the Address option you can see Template which means how your blog will look? there are many templates such as simple, Dynamic, picture windows, Awesome inc, Travel etc. Select one of them which you like, I prefer simple as it looks good. (7). After filling and selecting your choices click Create blog! Congratulations! your blog is created and ready to use. Read: How do I write my first post in blogger! Creating a blog is not difficult, the difficult thing is seo and traffic. Its the most common problem for all bloggers but don't worry for making your blog seo friendly you don't need to find tips anywhere else, 101Helper will help you. Click here for seo tips. You can also get blogger tips/tricks and gadgets from 101Helper. I hope it was helpful to you,if not ask me comments. If you like this post share it with your friends and help my blog grow. Yes Rahul, this blog is also blogspot.com and still have Adsense approved. No, Adsense looks for good content and traffic of your blog or site. There are many .com website which don't have Adsense and there are many blogspot blogs having Adsense approved.